NEW YORK -- Snoop Dogg aims a toy gun at a clown dressed as Republican President Donald Trump in a new music video featuring a population of clowns. The video was posted Sunday. 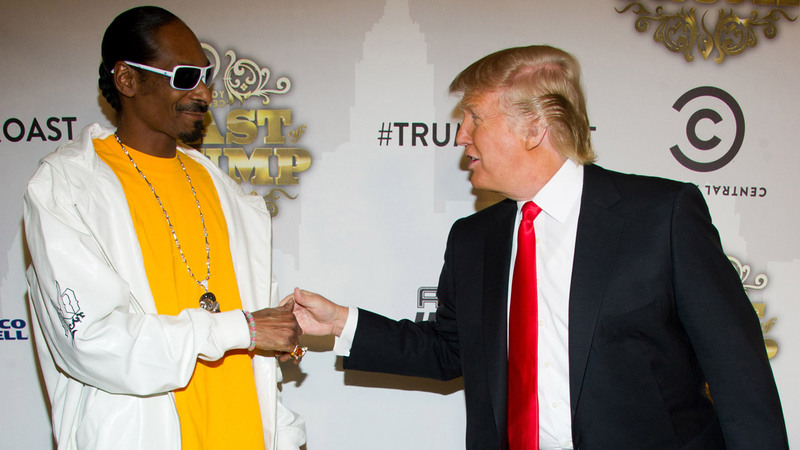 In it, Snoop Dogg shoots at Trump a gun that releases the word "bang." Florida Sen. Marco Rubio (R), who ran against Trump at one point, chimed in, telling TMZ that "Snoop shouldn't have done that." He says "we've had presidents assassinated before in this country, so anything like that is something people should really careful about." He adds that if the "wrong person sees that and gets the wrong idea, you could have a real problem." The music video also shows a TV airing a news conference with the headline "Ronald Klump wants to deport all doggs," airing live from "The Clown House." Most of the people in the video are dressed as clowns aside from Snoop Dogg. Actor-comedian Michael Rapaport stars in the clip. He's pulled over and shot by a police officer, which is filmed by an onlooker. The video is for a remixed version of the song "Lavender," by Canadian group BADBADNOTGOOD featuring Snoop Dogg and Kaytranada.